ADRENALINE 2018 in association with JDA N.H.L.M.M.C. 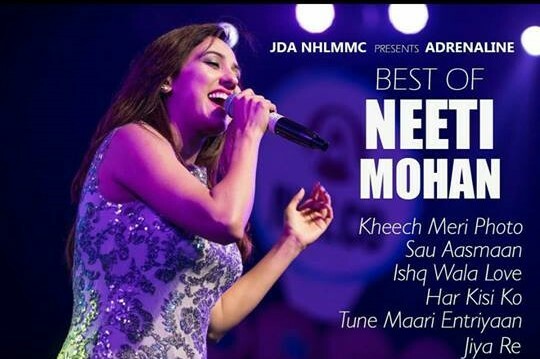 presents NEETI MOHAN LIVE on the 1st of April, 2018. Having showcased a plethora of talents in the previous years, ADRENALINE 2018 preserves this tradition by signing yet another superstar this year. So get ready to groove this year with Neeti Mohan, who will he performing live in Ahmedabad for the very first time.